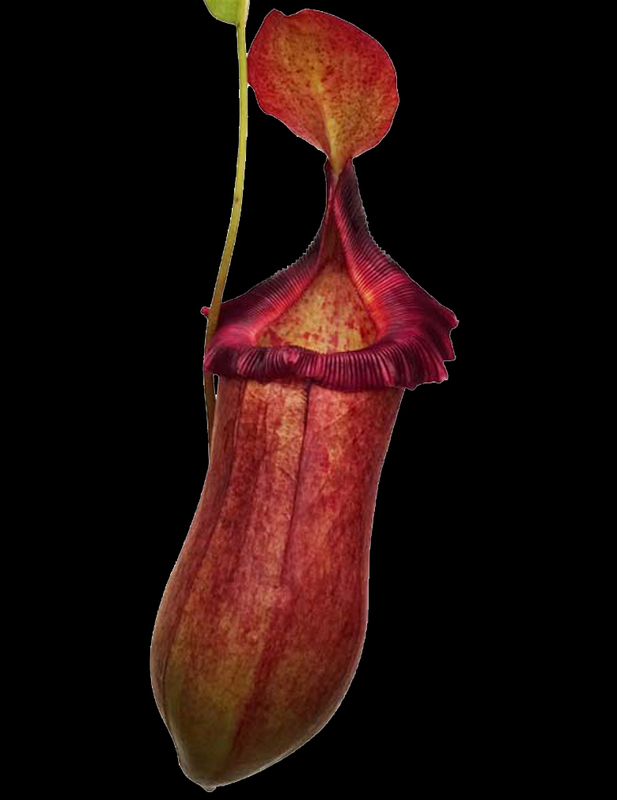 This hybrids combines wonderful characteristics from both parent species. 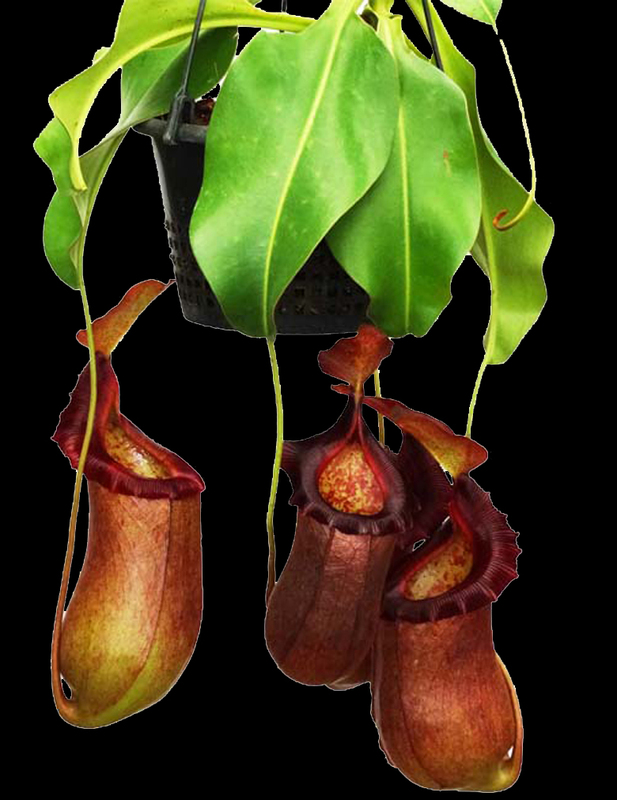 Nepenthes robcantleyi lends its huge and dark pitcher size and coloration, while Nepenthes sibuyanensis and N. ventricosa each lend their large size and ease of growth to this wonderful addition to our Nepenthes line. Words can't do it justice! Assorted clones 3 to 6 or more inches in diameter, shipped potted in 4-inch pots, ready to grow; not bareroot as you might find with many other carnivorous plant vendors. Water and enjoy! Note: for those who want to keep track of Borneo Exotics' item codes, this is BE-3748.